Local search is becoming the most common starting point for web users. People can search for restaurants, doctors, brick and mortar stores, or any kind of service from their phone or tablet. These people are potential customers. Your business can rank higher in the search engine results page by optimizing your website for keywords and by targeting specific areas like Pasadena. SEO (search engine optimization) helps maximize the potential for your Pasadena area business. SEO helps you harness the power of the Internet to increase traffic to your website. Websites need SEO to be competitive in today’s markets. Businesses like restaurants, insurance agents, or attorneys in the Pasadena area understand there is always new competitors who are competing for the same clients. Having a professionally optimized website helps your business rank higher in search results, resulting in more quality leads and potential business, so why wait? Contact our web design and SEO experts to get started. Say you are online and searching for an appliance repair shop that focuses on refrigerators. When you search for “Refrigerator Repair in Pasadena” the shops that show up on the first page of your results are the websites that were optimized by an SEO Agency in Pasadena for the keywords you searched for. Websites that are not optimized for those keywords are less likely to rank high in that search result, or even show up at all. As a business owner in the technologically advanced town of Pasadena, this could be the deciding factor for a potential customer to choose your business over one of your competitors. Make sure your business outranks your competitors: optimize your website with the help of a Pasadena SEO Company. Traditional marketing techniques like newspapers, radio, TV, and magazines are no longer a popular resource for consumers when searching for a product or service. Traditional marketing tactics can be expensive and you likely won’t maximize your return on investment. More than 100 million Americans go to the Internet every day to search for information on services or products they want to buy. Most people still want to go see a product before they buy it, but most people prefer to begin the shopping process online. Most people also prefer to purchase on the same day. The bottom line is if your business is difficult to find online or your website is not in the top of search engine results pages for your most important keywords, you are missing out on quality leads and new business. Gaining an up-close understanding of your industry and local competition. Creating quality back-links that point to your website through press releases, blogging, and social media that help to improve page ranking. Improving your search engine ranking each month through continuous research and fine-tuning of your website and keywords. Our professional Pasadena SEO services can help you do so. 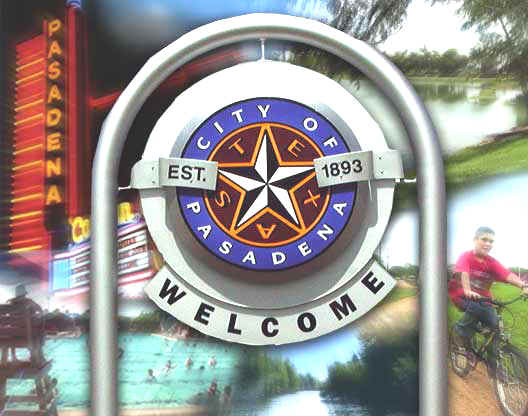 We help Pasadena businesses, just like yours, get found online. Call 281-764-9070 today or fill out our form below to setup a complimentary website review and quote.